Need more information on Dongguan Weihui Hardware Spring Products Co Ltd located in China? 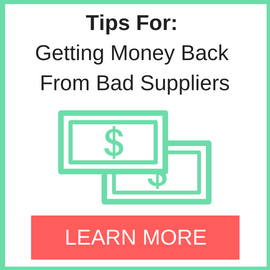 If you’re considering doing business with this company, read below to read one buyers experience with when they were looking to source Metal Spring from them. 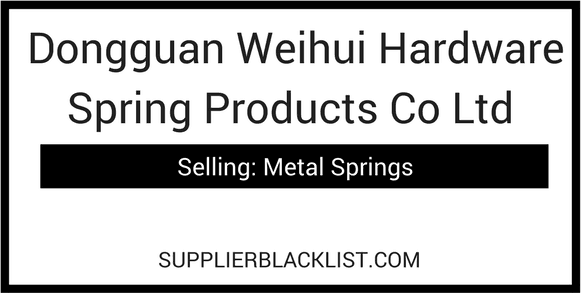 You will also find some links to help you find more related information about Dongguan Weihui Hardware Spring Products Co Ltd on Supplier Blacklist and on Google as well as other bad suppliers of Metal Spring reported here on SBL. For my re-order, the supplier had delayed the goods delivery. deadline to our buyers and face penalty for non-shipment on time. “we will not deliver anything” and hung up the phone. No further contact is made from them and they will not respond. They did not take any responsibility for the delay, nor respond to refunding the deposit. How does ALIBABA allow such supplier to gain GOLD SUPPLIER rating ? I believe the party at fault, should be ALIBABA, since they show the supplier as GOLD RATED, but actually the supplier does not have the correct credentials to meet this. 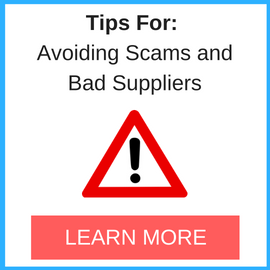 category of supplier is listed. Need More Info on Dongguan Weihui Hardware Spring Products Co Ltd? If you need more information, you can click the below links to search for more submissions about Dongguan Weihui Hardware Spring Products Co Ltd on Supplier Blacklist as well as go to the search results page on Google for more reviews online about this company. Perform a Supplier Blacklist search for more reviews on Dongguan Weihui Hardware Spring Products Co Ltd.
Search Google for Dongguan Weihui Hardware Spring Products Co Ltd Reviews.